Recently I worked with a customer who is using SAP Jam as their global, modern intranet. For the employees of this customer SAP Jam is the entry point to all of their corporate news, their collaboration groups, and their business applications. The company also had a specific bulletin board application that they wanted their employees to reach in the most simple way. The bulletin board is used heavily by their employees. It was so important for them that they wanted it embedded into the SAP Jam UI experiences, instead of just linking to it and opening it in a separate window. 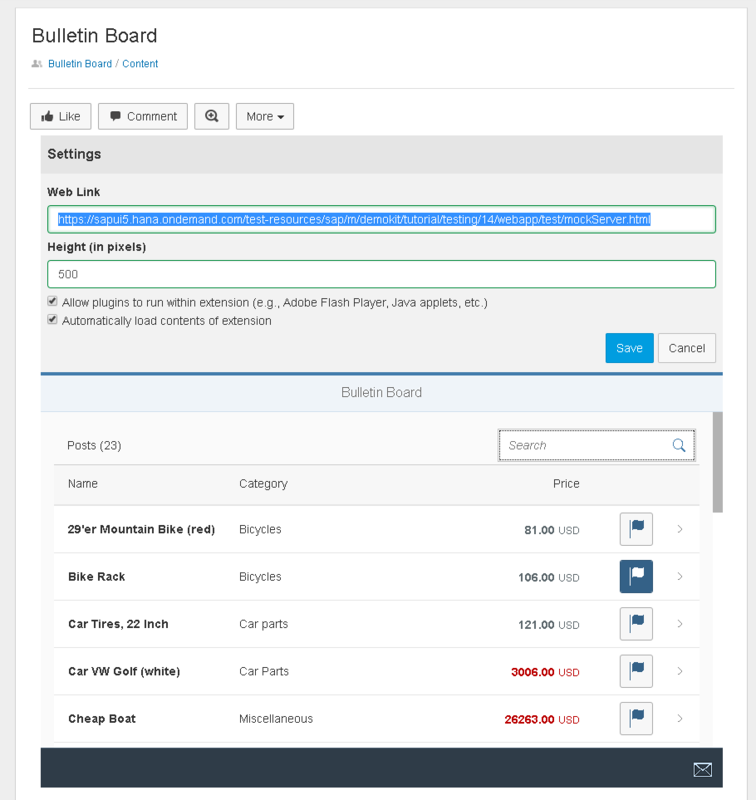 In this blog I’ll describe how you can do that by using the Bulletin Board UI5 demo app as example. 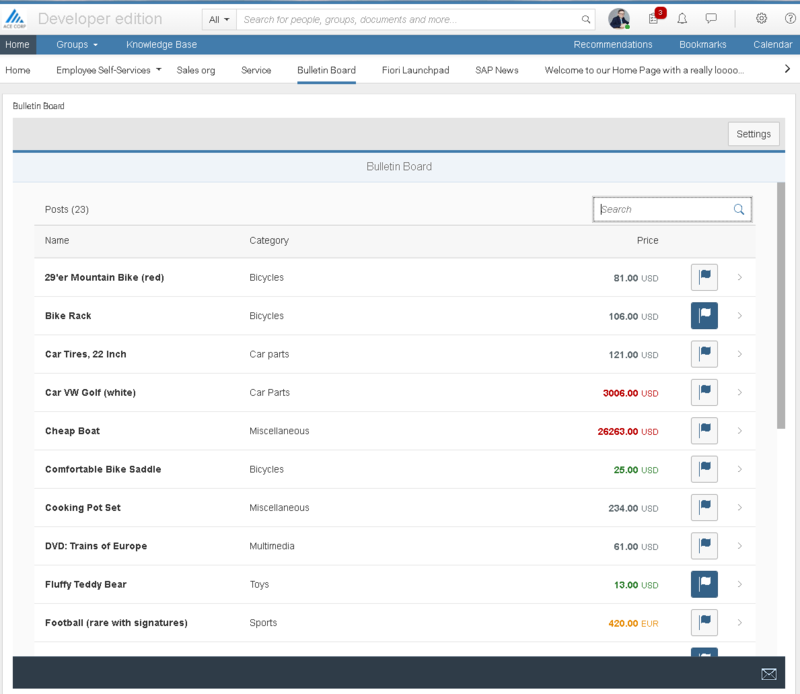 As described in my earlier post about SAP Jam Collaboration integration and extensions SAP Jam provides the ability to embed other applications into the SAP Jam UI, no matter if these are pre-built extensions by partners, existing additional employee tools that they provide their employees for specific tasks, or custom apps that they built themselves, for example using the SAP Cloud Platform. In our case, the customer wanted the bulletin board to be a dedicated home page for all of their employees. First of all you need the bulletin board itself. There’s a great SAP UI5 demo application available that we can use for that. This is also the URL that we will need later on to embed the bulletin board into SAP Jam. There’s even a tutorial that you can use to build this app yourself using the SAP Cloud Platform and the Web IDE. There are a few general steps you will need to go through to make the bulletin board available in SAP Jam. In the Custom Home Page section in the Admin panel create an instance of the URL gadget and paste URL of the Bulletin Board. Now you just need to create a new page on the custom home page and embed the URL gadget you just created. Et voila! 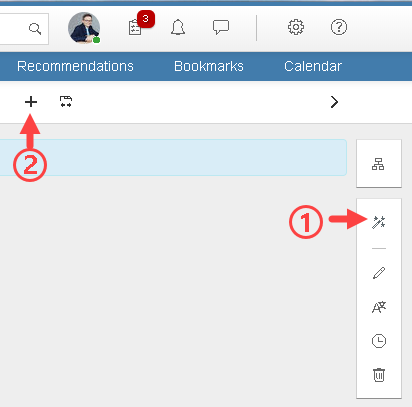 You have created a dedicated intranet page that makes it super easy for your employees to access your bulletin board in their SAP Jam intranet.